“Chop wood, carry water” – a simple message that Nick takes to heart. Do your work, do it well, and when you find success, do it again. As Alumni Coordinator, Nick does the work in his own recovery so that others may see and believe that a life in recovery is possible and sustainable. He has created a vibrant alumni community that offers support and resources to encourage sustainable long-term recovery for our Driftwood Alumni. 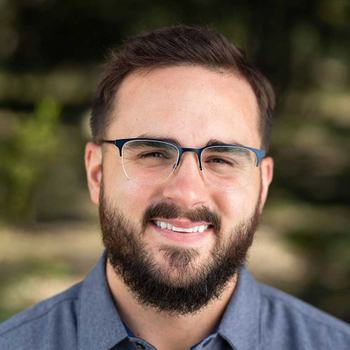 He is closely knit with the Austin Recovery community and continuously introduces activities to keep Alumni engaged and having fun in sobriety. Nick enjoys running Town Lake, live music, spending times with friends, family, and his dog Coco.